A Lonely Place to Die is a Film programme that first aired in 2011 and has been classified a 15 certificate. 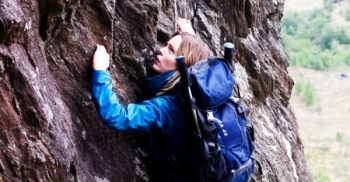 Alison (Melissa George), Ed (Edward Speleers) and three fellow mountaineers are hiking up the Scottish Highlands when they discover a small breathing tube sticking out of the ground. To their horror they uncover a coffin, inside of which a young Serbian girl has been buried alive. They resolve to get the youngster to safety, but when they are discovered by her violent captors, they realise it's not just her life that's in danger.